Are you dealing with narcissism in your relationship? How do you really know? 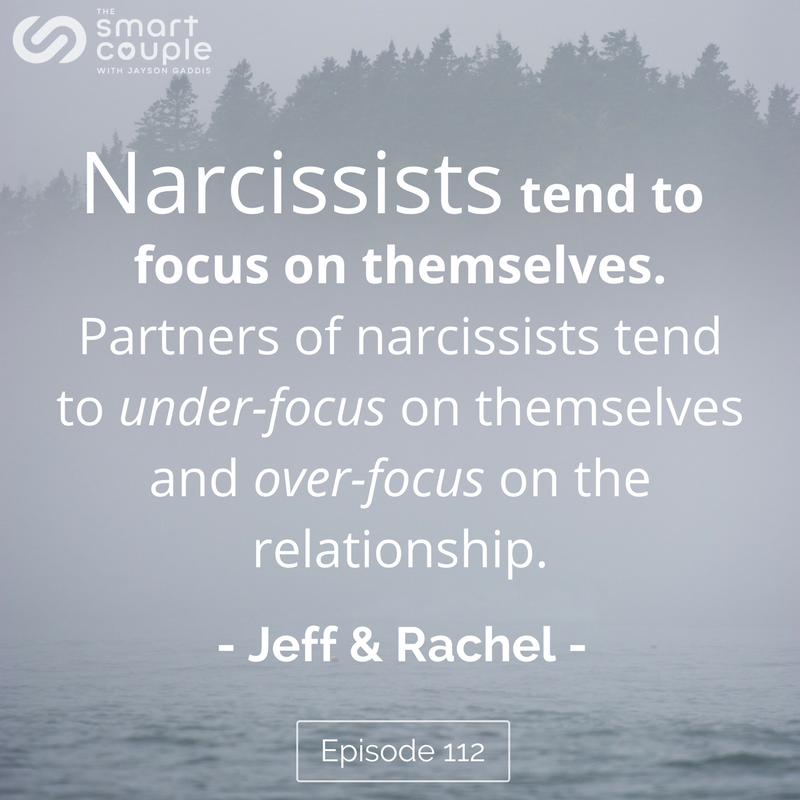 What are the signs and more importantly, what’s going on with you that has you with someone you are labeling as “narcissistic?” In this episode I dive into these questions and more with my friends Jeff and Rachel, both very skilled psychotherapists who understand narcissism and how it can impact your relationship. Jeff is Core Faculty of the PACT Institute, where he trains clinicians in a Psychobiological Approach to Couple Therapy, developed by Stan Tatkin. 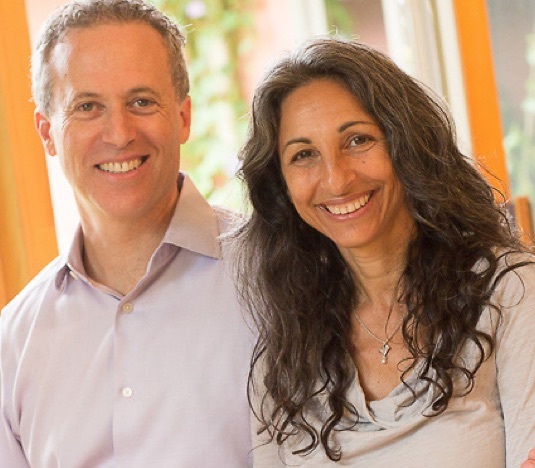 He and his PACT co-trainer and wife, Rachel Cahn, are also the creators of Dharma Of Love, helping couples grow beyond the foundation of safety and security into greater compassion and wisdom in daily life by utilizing committed relationship as a means to develop spiritually. Jeff has worked in the mental health field for more than 25 years. 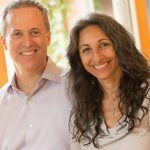 In private practice in Boulder, CO he is a therapist who works exclusively with couples and provides intensives for couples from around the country. He is a much sought-after couple therapist, trainer and clinical consultant. Over the last twenty-five years, Jeff has led workshops, councils and ongoing groups for men to explore the mature masculine. Jeff has been an adjunct faculty member at Naropa University, Colorado Mountain College, a teaching assistant for the Hakomi Institute, and a guest lecturer at Colorado State University. He has also been a workshop leader at the popular Wake Up Festival put on by SoundsTrue. Rachel completed seven years of training in the Psychobiological Approach to Couples Therapy (PACT) training with Dr. Stan Tatkin (UCLA) and was invited to join the PACT Institute Core Faculty as a trainer in 2013. Since then, she has delivered the PACT Level 1 training in Boulder, Colorado for three years with her co-trainer and husband, Jeff Pincus. For more than a decade, Rachel has facilitated EMDR trainings for therapists, and spent four years as a Teaching Assistant in the Hakomi Comprehensive Training for therapists. Working with both individuals and couples, Rachel uses her strengths as a body-centered, attachment-focused therapist. A sought after clinician, teacher, and consultant, Rachel also leads consultation groups for both PACT and EMDR clinicians. Excellent podcast!! I’ve learned more about narcissism in this discussion than I’ve ever come across in my searches for years now. This is very helpful in my life and in my relationships. Thank you so very much. What if the narcissist is a mother in law?